U.S. Postal Service: We Don't Have To Obey Traffic Laws! Next time you find yourself in traffic court, here's an excuse you can try: I can't be prosecuted because traffic laws don't apply to me! That's a laughable excuse, and it almost certainly will never work unless you luck out and get a judge who's drunk at the time. But government lawyers representing the U.S. Postal Service weren't above giving it a try recently in their attempt to get $700 in traffic fines dismissed in Ohio, according to Yahoo! News. In late January an attorney for the Postal Service sent a letter to the city of East Cleveland, Ohio and the company that operates their traffic camera system, claiming that two school zone speeding tickets and five — five! — red light camera violations incurred in December should be ignored by the court. Why? Because "the postal service enjoys federal immunity from state and local regulation," the attorney argued. You heard it right, ladies and gents. Kind of like the bad guys who hid behind diplomatic immunity in Lethal Weapon 2, the Postal Service claims they are can't be prosecuted under local laws. 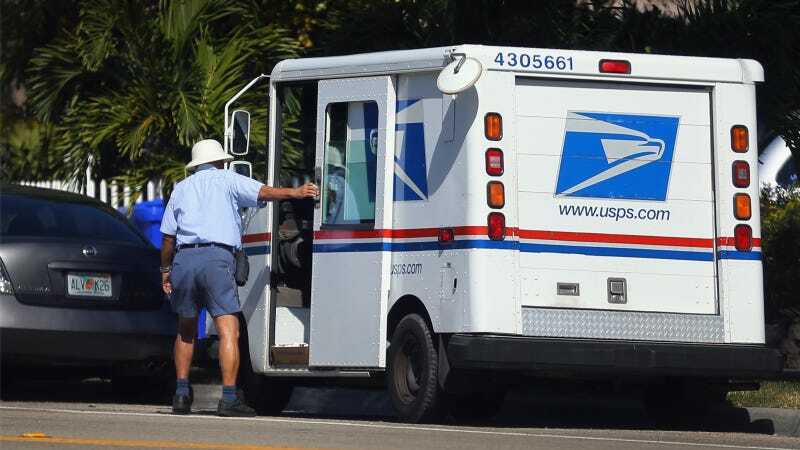 (ATS Attorney George) Hittner cited the Postal Service's own safety manual and case law to point out that postal truck drivers should and have been held accountable. He also gave a few examples where the driving habits of carriers resulted in well-publicized legal consequences. "My last and favorite example is of the USPS truck driver delivering mail while naked," Hittner wrote. "He was arrested for lewd and lascivious behavior." Naked postal workers? Is nothing sacred in America anymore? Neither the Yahoo! story nor this report by CBS Cleveland say whether a judge has ruled in the case yet, or if so, in favor of whom. My guess is the Postal Service had better expect to pay what they owe. Listen, postal workers: You guys have to obey the traffic laws and you have to keep your clothes on in public, just like the rest of us. Unfortunately.